Following the keto diet promotes fat-burning, weight loss, and boosted energy levels; all without restricting calories or eating bland, boring meals. 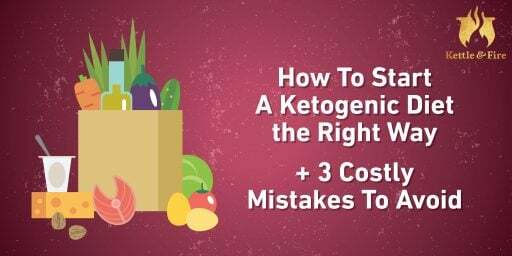 But to fully reap the benefits of a ketogenic diet, you must know which foods are encouraged on the keto diet food list and which foods to avoid. The ketogenic diet is a high fat, low carb diet that’s become increasingly popular for weight and fat loss. 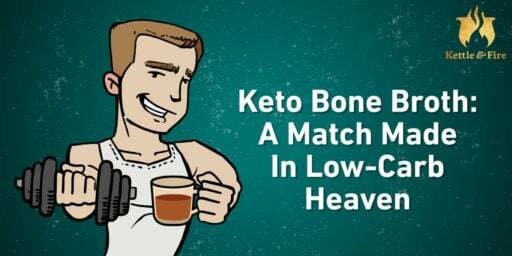 As we explain extensively in our keto diet mastery, the principle of the keto diet is to “eat fat to burn fat.” By heavily restricting carbs — your body’s primary fuel source — your body begins to burn your fat stores for fuel instead, which produces ketones. This state of elevated ketones in the bloodstream is called ketosis, hence ketogenic diet (1). In addition to weight loss and energy, the keto diet has been shown to support skin health, cognitive function, memory, and hormonal balance (2). Now, let’s dive into the keto diet nutrient ratios and the keto diet food list. If your reason for following the keto diet is to lose weight, you typically won’t eat more than 20-25 grams of carbs per day. To put that into perspective, a medium-sized banana is around 23 grams of net carbs — so even eating bananas in moderation would almost be enough to prevent the average person from entering ketosis. People who are extremely active are the exception, as they require more fuel(3). 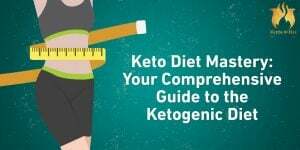 The keto calculator can give you a general sense of how much fat you should be eating, although your individual nutrient requirements may vary. It’s a good idea to consult with a qualified healthcare practitioner to determine your unique nutrient needs so you can achieve the results you’re looking for. Since fats make up 75% of dietary macros, they’re obviously a vital aspect of the ketogenic diet. There are four types of ketogenic-approved fats: saturated fats, polyunsaturated fats, monounsaturated fats and naturally occuring trans fats(4). For many years, experts believed that consuming too many saturated fats could potentially be linked to poor cardiovascular health. More recent research has shown that there is no direct link between saturated fats and cardiovascular health and that these fats may be beneficial for your body(5). Some saturated fats also contain medium-chain-triglycerides (MCTs), which the body converts into energy for enhanced physical performance and accelerated fat loss. MCTs are commonly found in oils such as coconut oil and MCT oil. *Note: these percentages are based on the Standard Ketogenic Diet (SKD). Read more about how to stock your kitchen for the Standard Ketogenic Diet here. 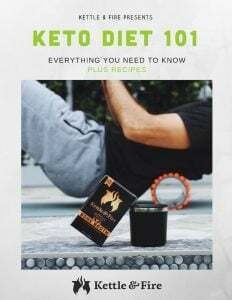 We know that’s an insanely long keto food list, so to keep things simple, we included a simple cheat sheet of keto diet approved foods to choose from in PDF format. You can refer back to this keto cheat sheet to help guide your choices when it comes to grocery shopping, meal prep and eating out at restaurants. Pinning the Keto Diet Food List on Pinterest. Printing out our free downloadable Keto Diet Food List (click the link above) and take it with you when you go grocery shopping.